Clinic Synopsis: This clinic is designed to help our youngest educators avoid many of the common challenges teachers encounter during their first few years of teaching. Why have so many promising band and orchestra teachers left the profession after only a few years? Attendees will gain real-world knowledge and skills they can use immediately to help them develop a high quality music program for many years. 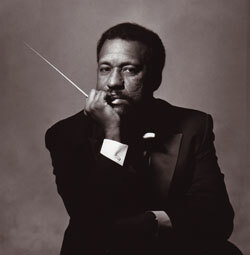 Clinician Biographical Information Alfred L. Watkins serves as director of the Lassiter High School Band Program (Atlanta, GA) whose structure bears his name. His marching band won the Sudler Shield and is a two-time BOA Grand National Champion. His symphonic band performed at Midwest twice and earned the Sudler Flag of Honor. He is co-founder and conductor of the Cobb Wind Symphony, a 100-member all-adult community band, which won the Sudler Foundation’s Silver Scroll Award. He received twelve Certificates of Excellence from the NBA, the Sudler Order of Merit, Band World Magazine's Legion of Honor, and has been the study of two biographical doctoral dissertations. He is a member of the American Bandmasters Association and the Hall of Fame at Florida A&M University and Bands of America.